Deacon Lawrence G. Brandon, a retired permanent deacon of the Archdiocese of Philadelphia, died Feb. 20 at Chester County Hospital from heart failure. He was 80 years old. Deacon Brandon was ordained Feb. 17, 1973 for the Archdiocese of Baltimore Bishop F. Joseph Gossman. He remained there until February 1977 when he and his family relocated to West Chester for employment reasons. Cardinal John Krol assigned Deacon Brandon to the Newman Center at West Chester University where he served for 10 years. In March 1987 Deacon Brandon was assigned to St. Maximilian Kolbe Parish, West Chester, where he remained until he retired in January 2011. In 1957 he received a Bachelor of Science degree in psychology from the College of the Holy Cross. In 1982 he received a Master of Science degree in organizational psychology from Temple University. He was employed in the insurance industry, and retired from the American Institute of CPCU in 2001. Deacon Brandon was married to his wife Dolores for 59 years. 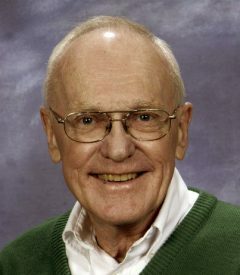 In addition to his wife, Deacon Brandon is also survived by his children Joseph, Gerard, Robert, Mary, John, Christine and Helen, along with 22 grandchildren and three great-grandchildren. Deacon Brandon has donated his body for scientific research. The funeral Mass was celebrated Feb. 23 at St. Maximilian Kolbe Church, West Chester, by Msgr. Robert Carroll, who was the principal celebrant and homilist.